By Adrienne Rivera. Nov 29, 2015. 9:00 AM. Finding time to write can be difficult for anyone with a job and other commitments. Add to that the increased responsibilities that come with having children and images come to mind of single-mother J.K. Rowling writing away on dinner napkins on a train to and from work—savoring the few precious hours of alone time after she put her eldest daughter to bed, before she too had to go to sleep. That she managed to turn those stolen hours and ink-filled scraps of paper into the Harry Potter series, arguably seven of the most beloved and influential books in contemporary literature, is no small feat. She was thirty-two years old when her first book was published. For author Sue Miller, it took a little more time. Miller's first novel was written the year her son went off to boarding school. She had been granted a fellowship that allowed her to write full time. 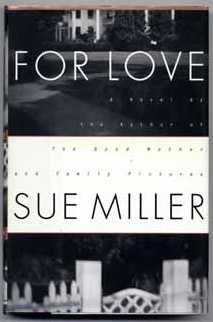 While Miller has said in interviews that none of her main characters are based on her, the protagonist of her first novel is divorced and a single mother. Anna of The Good Mother falls in love with Leo, a man who makes her feel like she is beautiful and sexual for the first time in her life. Even better, he seems to get along well with her daughter. But her new lifestyle and love are brought to a halt when her ex-husband accuses her of having become unfit to take care for their daughter. The novel follows the court proceedings in which Anna fights to prove that she is in fact a good mother. The Good Mother was made into a film starring Diane Keaton and Liam Neeson. Though her earliest novel, it is considered to be one of her best. 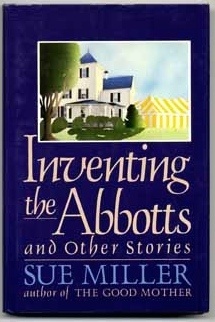 Miller's second book, a collection of short stories, came out only a year after her first. The title story, “Inventing the Abbotts” was adapted into a film featuring Billy Crudup, Joaquin Phoenix, and Liv Tyler in 1997. The story is said to be based on a story told to her by an ex-boyfriend. It features a young man recounting his brother's attempt to ingratiate himself into a wealthy family, the Abbotts, by disastrously dating one Abbott sister after another. Each of the eleven stories in the collection explores ideas about love and sexuality and the flaws that make us human. For Love is, as it sounds, about love. Romantic love, childhood love, first love, the love felt for a parent, love for a sibling, love for a child, and the dissolution of love are all present in the novel. The central character, Lottie, grapples with writing about love during the dissolution of her marriage and the rekindling of her brother's relationship with a childhood friend as they all come together to clean up their mother's house after she enters a nursing home. Present, too, in this novel is grief and how so often it is a part of love whether through disappointment or actual loss. Miller describes in this novel the minutia of the day-to-day that make up the ordinary loves and lives of her characters centered around a disaster that changes all of their lives.